Oh, the woes of being popular during the holidays. Each party invitation comes with an unwritten expectation to spend money on transportation, a host gift and a festive outfit. But party hopping doesn’t have to be expensive. Cut yourself some slack and accept these three fundamental truths. For each invitation, consider your relationship with the host and the cost of attending, both in terms of time and money, says Susan RoAne, author of “How to Work a Room” and professional speaker. “If I have to drive an hour for a party, it better be for someone who I love and adore,” she says. Tally costs. Estimate transportation expenses for gas, parking, rideshare services or public transportation. Factor in how much you’ll spend on a potluck contribution or host gift (more on that later), too. Other costs may include a fee for attending a professional event or child care while you’re away from home. If the total of those expenses exceeds your budget, you have an out. Look to how the invite was extended for guidance on how to decline. For example, RSVPing “not going” is usually fine for an impersonal Facebook invite. Doing the same and adding a small message for an online invitation is OK, too, RoAne says. But if you received the invitation by mail, call — don’t text — to break the news. For example, consider a holiday gala hosted by your professional organization. Tickets may be steep, but showing up and mingling could help your career. Or the Uber rides to and from a dear friend’s party may set you back $50, but attending could help nurture that relationship. Let’s face it, women feel more pressure to look fabulous for parties than men. Earlier this year, Michelle Obama compared the scrutiny of her style versus that of the former president. “Now, people take pictures of the shoes I wear, the bracelets, the necklace — they didn’t comment that for eight years he wore the same tux, same shoes,” she said. Repeat staples. Unless you’re a first lady, the press won’t care if you repeat an outfit — and neither will other party guests. “Nobody’s going to say ‘you wore that dress at the last party,’” says Catherine Brock, owner and editor of the Budget Fashionista blog. She suggests investing in a black or navy dress and wearing it to several parties. For each event, change up the accessories. Festive jewelry, scarves, shoes and handbags are more memorable than the staple piece anyway, she says. And those items can be cheap. She suggests perusing websites such as ASOS, Polyvore and ShopStyle, as well as the sale racks at H&M, Kohl’s and Macy’s for inexpensive accessories. Pair a bridesmaid’s dress with a leather jacket, for example. Or unearth that sparkly skirt from New Year’s 2015. Remember, no one will recall that you’ve worn it before. Skip gifts when you can. If you bring a dish to share or bottle of wine, RoAne says, you can forgo a host gift. Don’t bring a gift if you have to pay to attend the party, either, she says. If you bring something, don’t spend much. You can’t go wrong with a cheap bottle of wine that tastes expensive. Need gifts for several parties? Check for discounts on bulk wine purchases from wherever you buy your vino. If the host doesn’t have a taste for wine, consider bringing a small item for the house. RoAne suggests boxed luxury soap, which you can typically find for cheap at discount stores such as T.J. Maxx, Marshalls and Ross. Homemade presents can be inexpensive and personal, too. But just to be safe, be friendly and bring a $10 bottle of prosecco. 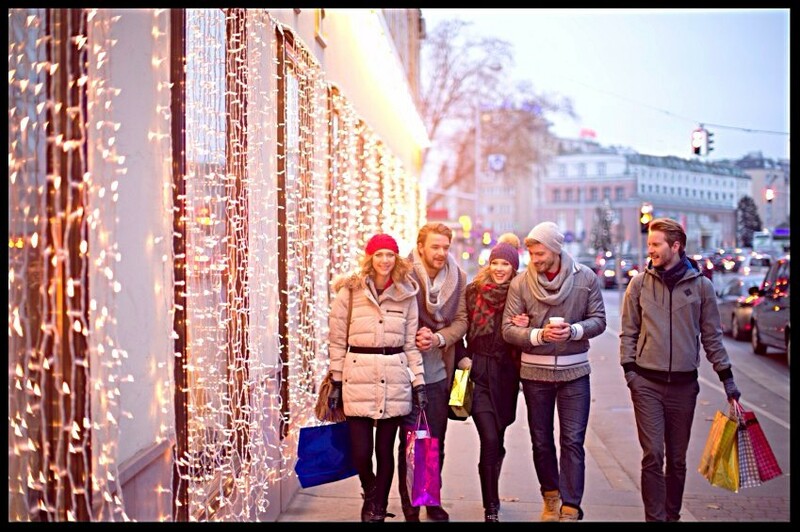 The article You Don’t Have to Go Broke Attending Holiday Parties originally appeared on NerdWallet.